Ideally, everybody wants to choose the perfect wedding photographer. In reality, this is often a difficult process fraught with too much information from the numerous vendors available in the market. Even choosing between an all-in bridal package versus an independent photographer is not an easy decision in itself. This is because there are horror stories of additional costs involved and poor quality associated with purchasing bridal packages. Heartland Boy must confess that the process of choosing the perfect wedding photographer was driven by Heartland Girl. According to Heartland Girl, Heartland Boy has no appreciation for beautiful photography. In the middle of the meeting with wedding photographers, Heartland Girl would exclaim and say “This is a beautiful photo!” However, to Heartland Boy, there is usually negligible difference between Photographer A and Photographer B. By the way, Heartland Girl has also laid claim to all the performing arts genes that their future children will inherit, simply by virtue that she thinks Heartland Boy has none. So having gone through this arduous process where his artistic genes were brutally exposed, Heartland Boy would like to share some tips on what to look out for in a perfect wedding photographer. 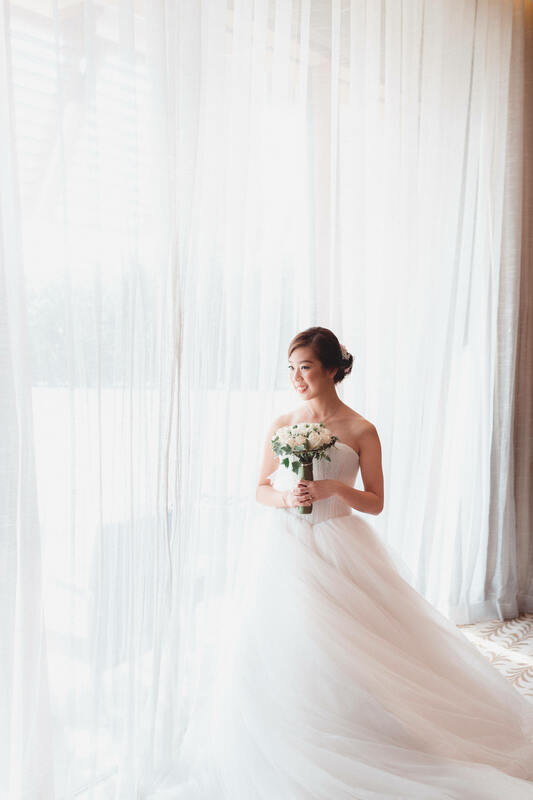 In this review of wedding photography in Singapore, he would also recommend his photographer, Alex Goh, to his readers. At least to Heartland Boy, this is a hugely subjective word. What is quality to Heartland Boy is not necessarily quality for Heartland Girl. Well, at least after several meetings with the wedding photographers, the artistic genes of Heartland Boy had grown. He was able to decipher quality by examining the wedding photographer’s track record. Tip: It is only realistic that you compare quality within the same range. Afterall, $10 fried carrot cake from Peach Garden and $1.50 fried carrot cake from hawker center cannot be the same right. This is yet another controversial word. If you are a hiring manager, you tend to look for the “connection” from the candidate before hiring him or her. For wedding photography, having a connection between the wedding photographer and the client is important as it allows the wedding photographer to capture more genuine moments and images. If the chemistry is strong, everything just becomes easier and provides for a better all-in experience. Afterall, as anxious brides and grooms, there are a million things to worry about on your wedding day and the last thing you want is to feel uncomfortable or worse, bicker with your wedding photographer. Tip: The client can share their love story to the wedding photographer during the meeting to allow both parties to understand each other better! After an arduous process, Heartland Boy and Heartland Girl finally agreed to engage Alex Goh Photography to be their actual day wedding photographer. Note that the Heartland couple did not find it necessary to spend money on a pre-wedding shoot. 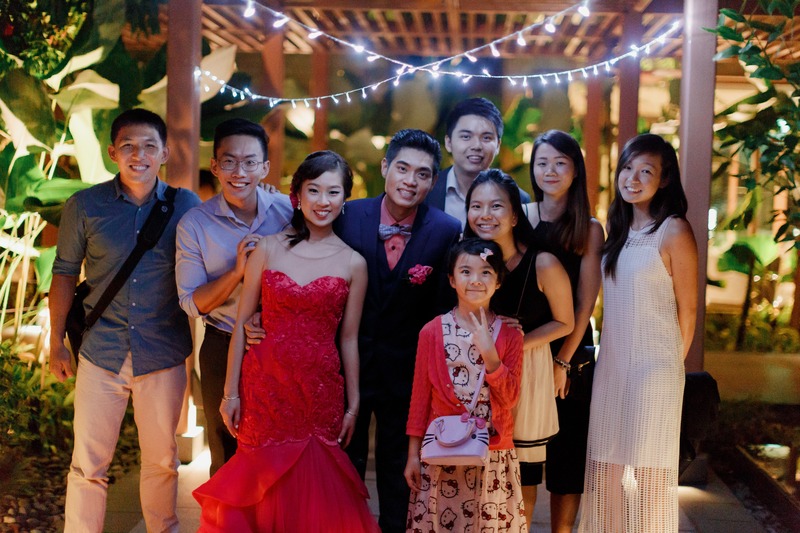 Choosing Alex Goh was easy because he shone the brightest amongst the several wedding photographers that they have met. During the meeting, he offered a reasonable price and represented the most value for money amongst all the wedding photographers and wedding bridal studios they have met. 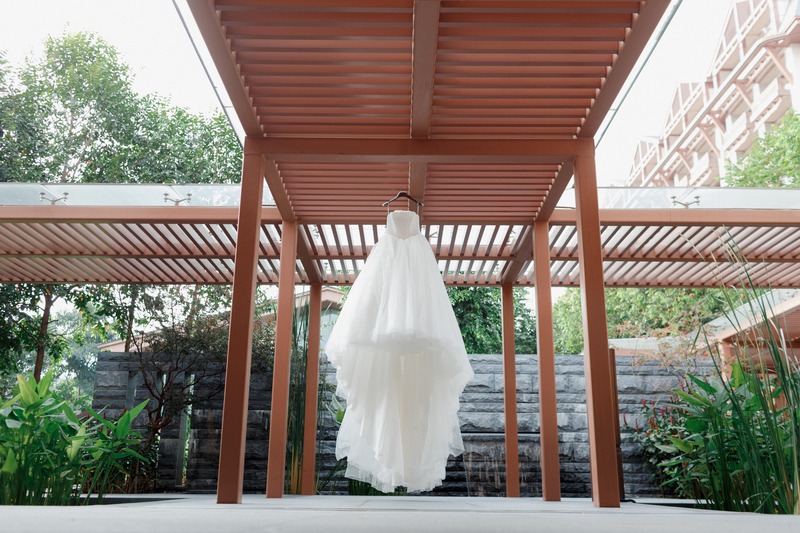 Most importantly, his photography service in Singapore was affordable and within their pre-determined budget. Well, Alex certainly went on to exceed Heartland Couple’s expectations by a long mile. According to Alex Goh, a meeting before accepting any job assignment is mandatory. This meeting is critical for him to understand the style that the client is looking for. Hence, a good tip would be for the client to show him some preferred wedding photograph samples. If the style does not fit, Alex Goh will not accept the assignment for fear of disappointing the client due to the mismatch of expectations. That is professionalism and honesty, traits that are equally important to the Heartland Couple. 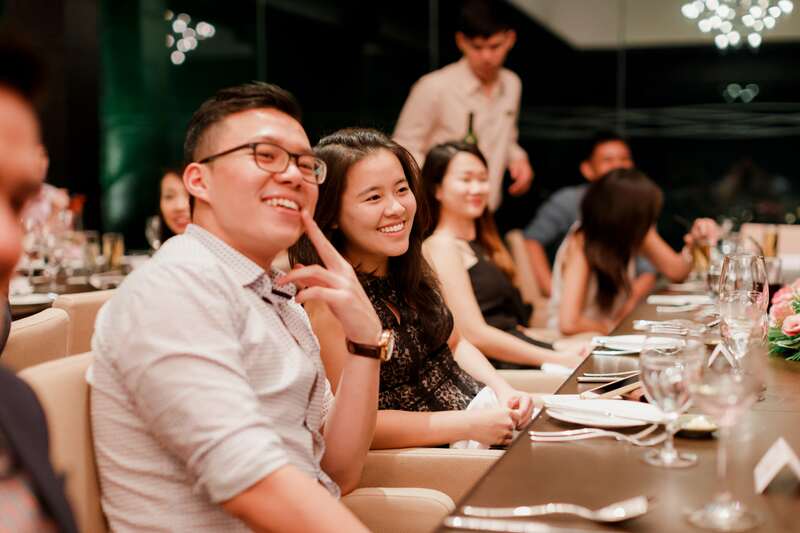 During this meeting, the clients are also encouraged to ask questions about wedding photography in Singapore. But how about someone like Heartland Boy who doesn’t even know what “style” he wants? That is when it is comforting to have Alex Goh around, as he is particularly adept at asking probing questions. 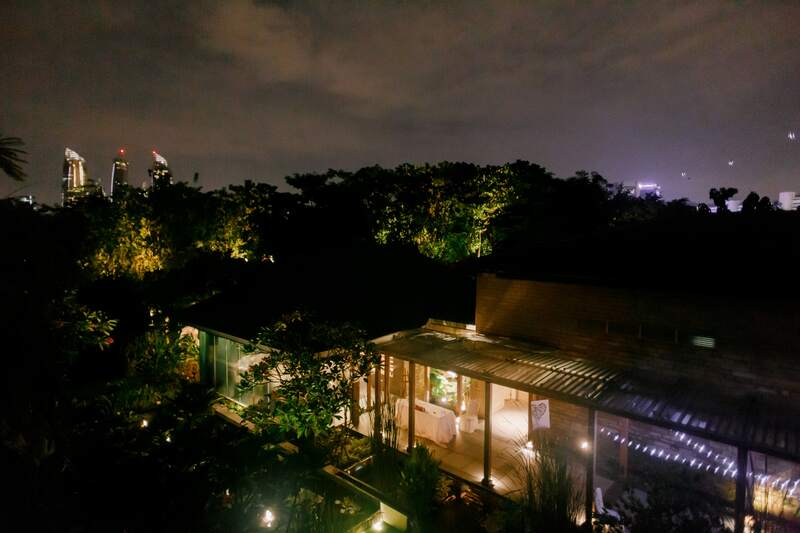 He is patient and experienced enough to be able to guide the client to gradually discover a style that he or she is enamoured to. Eventually, both Heartland Girl and Heartland Boy decided to settle for a lot of natural shots of their guests at the lunch and dinner. They were thrilled at the quality delivered. Alex Goh is also extremely adventurous; which makes him receptive to creative requests from clients. For instance, he has travelled to places as far-flung as Africa, and taken photographs on top of mountains and ridges. It is no mean feat to be able to have the stamina to execute beautiful photographs after having climbed for several hours while lugging heavy photography equipment. Heartland Boy witnessed for himself Alex’s creativity during his actual wedding day. Together with the videographer, Alex hoisted the heavy wedding gown on top on the ceiling in order to capture a full length shot of the beautiful gown. Another example would be his initiative to reorganize the fairy lights to create a better effect for the cameras. It all made for a lovely setting. Most importantly, the Heartland Couple thought that it was the connection established with Alex Goh that had enabled these creative shots to be taken. Besides outstanding quality, Alex Goh was also value for money from the deal that he offered to Heartland Boy. He delivered over a whopping 500 photographs to the Heartland Couple, an astounding number for only a day’s work. He spent time to edit almost all of the photographs that he had taken and the Heartland Couple truly appreciate such hard work from him. 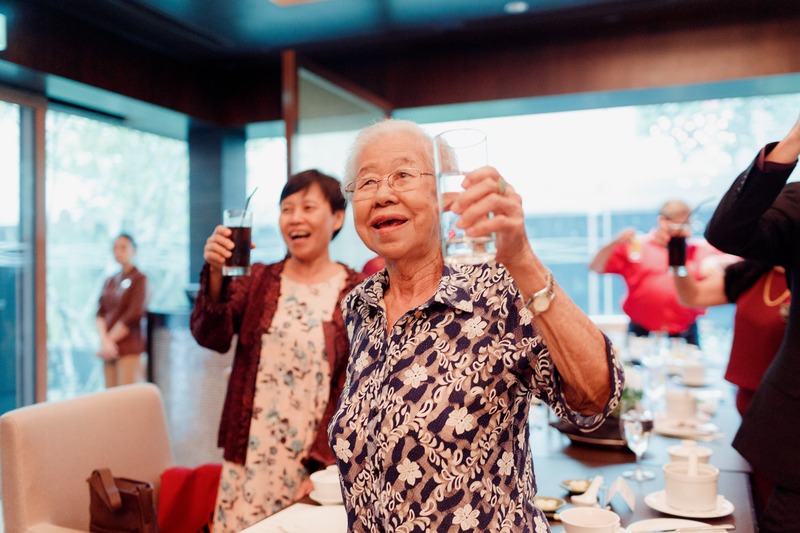 Finally, Alex Goh also surprised the Heartland Couple in the last meeting when he developed some of the photographs into hard copies as keepsake. 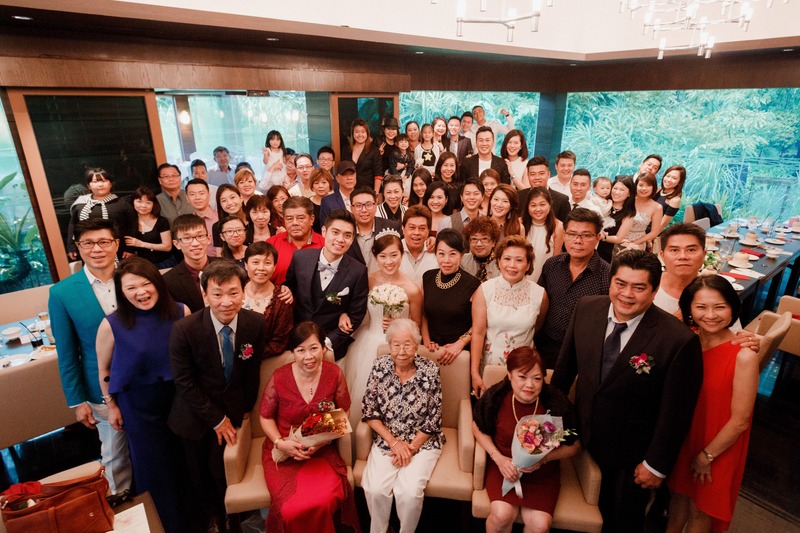 The Heartland Couple was very glad to have chosen Alex Goh as their wedding photographer. Without him, the beauty of Tangerine would not have been adequately captured in the photographs. P.S* You may also want to read a related post by Heartland Boy on wedding wine. « What Singapore Stocks to Buy? Do you mind if I can have Alex goh’s contact details? Thanks! My girlfriend and I are looking for an actual day photographer. May we have Alex goh’s contact details please? Sure i will pm you!